With an aim to make people aware on the health benefits of gardening, the IIL Foundation collaborated as a ‘Green Partner’ with Mission Fit India, the country’s maiden fitness and wellness festival on radio platforms and digital media. The IIL Foundation leads the Corporate Social Responsibility (CSR) initiative of the Insecticides (India) Ltd., the country’s leading farm Products Company. “We are proud to be associated with this noble cause. Mental health and wellness are major concerns across the world, including India. We will leave no stone unturned to make people aware of simple steps that can have a long-term impact on how they view themselves and their surroundings. We often consider gardening as a hobby but it has considerable health benefits not many are aware of; during the festival, we will highlight how plants and home garden can help people to stay fit,” says Mr. Rajesh Aggarwal, M.D. 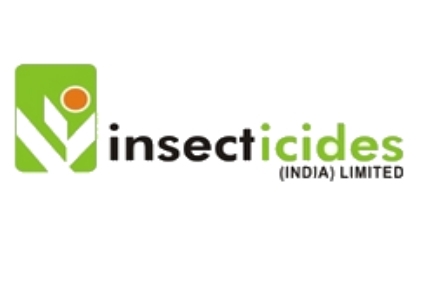 Insecticides (India) Limited. The 120-day long festival to encourage mental and physical health, dubbed as the first and biggest of its kind in India, will be broadcasted on Fever FM and My FM. The festival is also mentored by Yog Rishi Baba Ramdev & Acharya Balkrishnaji, MD of Patanjali. Spearheaded by actor Suniel Shetty, who is also a brand ambassador for IIL products, the festival is based on the theme of ‘Ab hoga fitness baayein haath ka khel’. It will travel through 43 cities across India in four phases, namely ‘Fitness Basics’, ‘Suniel Ki Sena’, ‘Fitness Wars’, and ‘Finale’. Each phase will address a key challenge people face in their endeavor to get fit, engaging actor Suniel Shetty, celebrity fitness trainer Vrinda Mehta, and celebrity chef Vivek Ratnani. In the third phase, radio jockeys (RJs) of Fever FM and My FM from all 43 cities will enter a challenge to become the fittest following a fitness and wellness plan crafted by Suniel Shetty. The top-performing RJs will get a chance to travel to Uttarakhand along with their buddies in the final phase of the campaign to fight out a concentrated transformation challenge.